The fall is such a beautiful time along Vancouver’s side streets; bright sunshine, colourful leaves, and deep blue skies accentuating our glorious streetscapes. 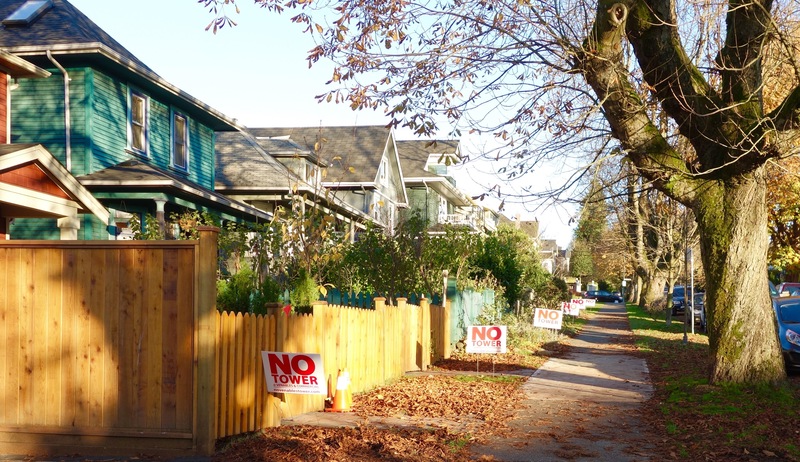 This particular fall, the lawn signs for the NO TOWER campaign are adding to the display, springing up all over to celebrate the community’s rejection of a high-rise tower on the Drive. If you want to join this blooming trend, please email us at no.tower.lawn.sign@gmail.com. Posted in Community, Signs on November 25, 2015 by pennystreet546.